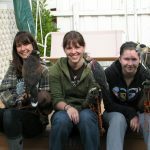 Many who’ve taken courses or hosted presentations with us know I had the great privilege of attending the 2nd International Falconry Festival in 2009. 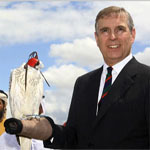 I was invited to provide educational presentations to British school-children by David Horobin, the author, historian and contributing architect to UNESCO’s enshrinement of Falconry into the intangible human heritage list. 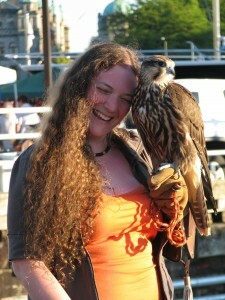 There were 250+ Falconers in attendance for the Festival, and so many raptors of every shape and description my eyes ached. I was privileged to assist Karl Ledley with his Goldies, ‘Khan’ and ‘Heidi’, meet and talk captive-breeding with Jemima Parry-Jones, (who allowed me to handle ‘Watamu’, one of her Verreaux’s Eagles), speak with the director of the Hawk Conservancy Trust, who invited me to come back and learn more about schooling eagles, and a host of others — many of whom have been practicing the Art for forty, fifty or even sixty years, or more. The only time I witnessed anyone, anywhere feeding day-old rooster chicks to their Companions was in emergency “these are back-up rations” situations. Quail was the validated food source, with the owls receiving mostly rodents. 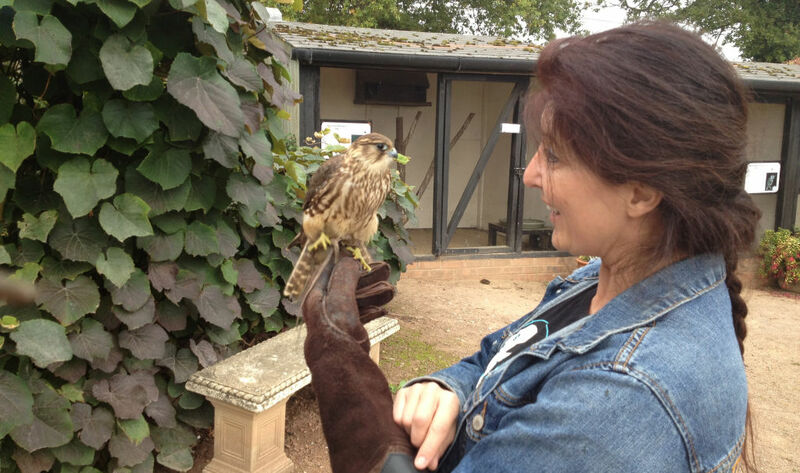 Nowhere in Nature will you find birds of prey feeding to the point of exclusivity on day-old anything. Yes, like all predators they look for a “low-energy-chase” whenever they can — its exceedingly stressful being a hunter, and an easy meal simplifies things. But what is key here is the fact raptors are hunters. They pursue and feed on largely adult prey. Adult. As in, “built for surviving” quarry. 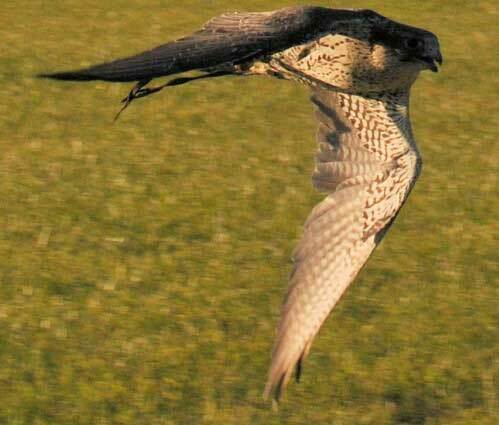 Prey which has a hardened skeleton, and fully developed muscles and organ systems. Not the mobile equivalent of bargain-brand hot-dogs. Day-old rooster chicks are scarcely an hour old when they’re culled. For the first few days of their life (were they allowed to live), they survive largely on their yolk-sack, mimicking the hen until they learn to source out seeds, flowers and other herb sources they gain sustenance from. The yolk is the only part of the cockerel containing nutritive value — and is routinely thrown away by most falconry practitioners who “use” them. The skeleton of the day-old chick barely qualifies as cartilage, and their organ systems are rudimentary, providing little or no utilitarian value — nutritionally speaking. Compound this by rapidly thawing the frozen day-olds in hot water, and you’ve succeeded in washing away any vestige of legitimate dietary input for your captive raptor. Providing captive birds of prey with this by-product of our industrialized poultry-production “machine” is tantamount to rearing a human child on macaroni-and-cheese every day of its life — then wondering why he or she is unfit, weak, and tired all the time. Couple this with a poor, or utterly absent exercise regime, and you have the precise recipe for “how to get a Golden Eagle killed and eaten by lions”. 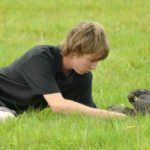 Elsewhere, but also here in BC, a young man attending high school in the Fraser Valley – presumably under the auspices of a provincial permit, has a Harris Hawk in his possession which, I’m reliably informed, is fed a diet of hot dogs. Never mind the fact the processed compositional elements found in hot dogs, (scrapings from the abattoir floor, to be precise), are, like day-old rooster chicks, not what the typical Harris Hawk would hunt in the semi-desert regions of North America; the degree to which this raptor’s health is being jeopardized places the competency of its care far short of what any even slightly-experienced falconer-in-training would take for granted as meeting the bare-minimum standards of humane stewardship. 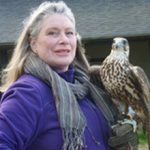 You will ‘hear’ it said many times in the days to come, but you’ll read it here first; captive birds of prey are not — not — pets. They cannot ever be tamed, (again, I will categorically state here that anyone telling you otherwise does not know what they’re talking about). Their care, inclusive of their dietary needs, are highly specific, and hot dogs don’t cut it! 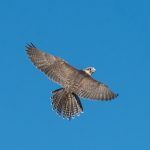 If we are going to be good – no, excellent stewards, and place ourselves in the public’s eye with the Peregrines and the Red Tails, and the Golden Eagles, if we’re going to breed them in captivity, rear them and school them, we must make it our heart-breaking joy to dignify the relationship by providing the sustenance they deserve, by surrendering them to the wind, by teaching them they are hunters, and by inspiring others to protect their wild counterparts. 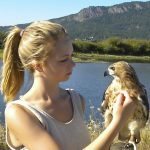 The ethical Falconer must reach beyond their Companions being merely “hunting fit” – it must be the goal that our charges be “wild fit”. They must know the hunt; know they can feed themselves, and yet choose us. Choose the safety of the glove…choose the comfort of the shelter we offer them. And if we are fortunate, choose relationship with us. This means approaching our side of the raptor/human interaction respectfully. It means “running point” for them on the basics; ensuring we ourselves are not responsible for exposing them to utterly avoidable tragedies. It means policing each other with the goal of ensuring a run-away ego (that is, the poncing fraud who genuinely believes the Art started only when they joined the rest of humanity on planet Earth), is not supported in public forums, or permitted access to venues from whence they present themselves as some brand or other of “authority” on the subject of raptor-care when their actions – or serial inaction – indicate the polar opposite of their mouthings. 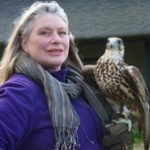 The notion we, in this modern age, can somehow substitute something so poor as day-old cockerels for the food sources raptors have naturally evolved to pursue and eat goes beyond absurd, its inane and insulting. 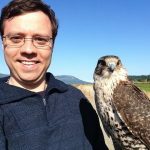 In my opinion, we do our feathered-companions a massive disservice — we make them “less”, to offer them such poor fare, and demonstrate ourselves to be ignoramuses by choosing to do so. 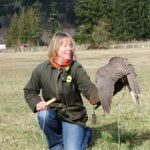 We’ll continue this theme in “…Part 2″ when I cover the absence of a mentored-apprenticeship program here in BC, and some of what The Falconlady & “Team Feathers” are doing to modernize that situation at the Provincial level.